Installing an automatic sprinkler system will ensure your yard will always look its best without the hassles of dragging a hose and hand watering. Dense, green grass. Lush, healthy vegetation. All watered automatically and efficiently, even when you’re away from home. River Ridge Landscape specializes in designing, installing and maintaining water-saving irrigation systems that protect your landscape investment. a family-owned business with 25 years experience, a history of quality installations and satisfied customers. consistently ranked as one of the top-tier installers of Rain Bird products nationwide. committed to providing best-in-class products and services. proper design and installation with true “head-to-head” coverage for maximum uniformity and efficiency without water waste. our experienced service department allows us to deliver prompt and efficient sprinkler system maintenance. There’s always a live person answering our phone. a quality installation depends on the expertise of the installation crew. 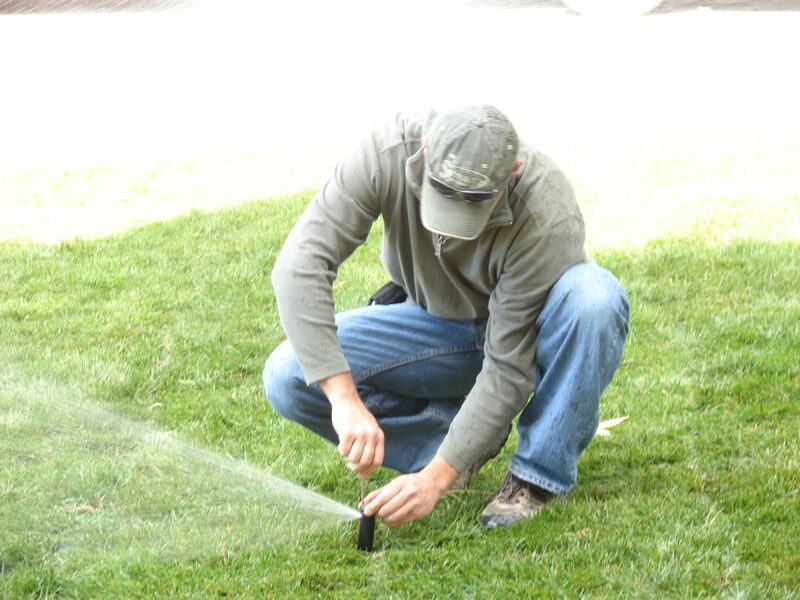 Our veteran sprinkler technicians are trained on the latest methods and technologies. Our sprinkler systems are designed to be efficient for reduced water use. Plus, their quality design and installation costs less to maintain over the life of the system. By selecting us, you are assured of a system that will be easy to use, easy to maintain and will provide years of reliable service. Let us audit your current system for opportunities for water-savings. New sprinkler equipment can dramatically reduce water bills. During the wintertime, cold temperatures freeze any water in your underground irrigation pipes or other parts of the system. This can lead to damage to your irrigation system, including burst pipes. A trained technician can blow out the pipes and winterize other components of the system, preventing this damage and keeping your system in good condition. Give us a call to schedule sprinkler winterization services.